What a penetrating question! Our Lord’s words often hit home for us when He speaks in the simplest way. In spite of the fact that we know who Jesus is, He asks, “Do you also want to go away?” We must continually maintain an adventurous attitude toward Him, despite any potential personal risk. 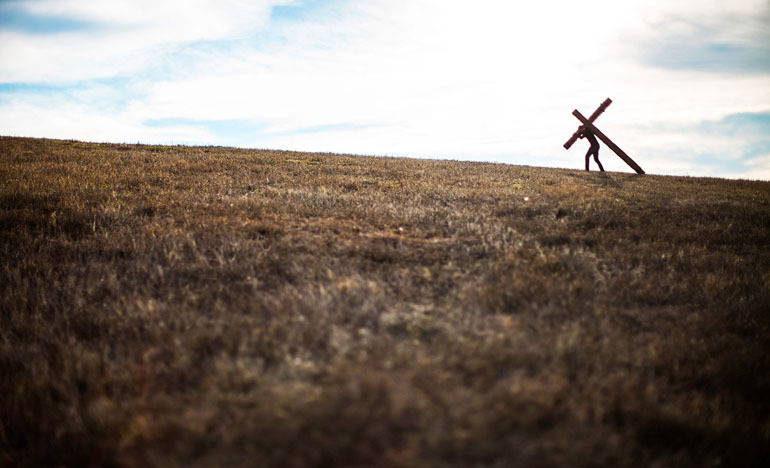 “From that time many of His disciples went back and walked with Him no more” (John 6:66). They turned back from walking with Jesus; not into sin, but away from Him. Many people today are pouring their lives out and working for Jesus Christ, but are not really walking with Him. One thing God constantly requires of us is a oneness with Jesus Christ. After being set apart through sanctification, we should discipline our lives spiritually to maintain this intimate oneness. When God gives you a clear determination of His will for you, all your striving to maintain that relationship by some particular method is completely unnecessary. All that is required is to live a natural life of absolute dependence on Jesus Christ. Never try to live your life with God in any other way than His way. And His way means absolute devotion to Him. Showing no concern for the uncertainties that lie ahead is the secret of walking with Jesus.